Dating back to the 1950‘s, True Crime Magazine covers four unsolved murderous ciphers even the most skilled and professional cryptanalysts could not crack. The Zodiac Killer is one of the best known and recognizable figures for his communications with media using unsolved ciphers. Responsible for five known murders, the Zodiac sent at least four ciphers to the San Francisco area police and local newspapers. 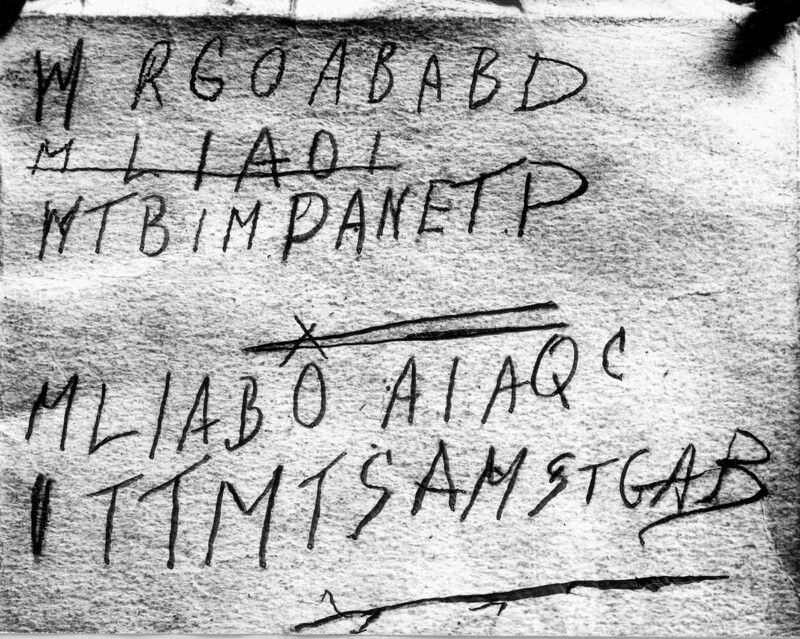 While one of the ciphers is solved, though not fully understood, there are three more unsolved ciphers created by the Zodiac Killer. One of the most infamous is the so-called “340 cipher”, received by the San Francisco Chronicle newspaper on November 8, 1969. Within more than 45 years, no one has so far been able to crack it. To this day, the meaning, if any, of the final eighteen letters, has not been determined. 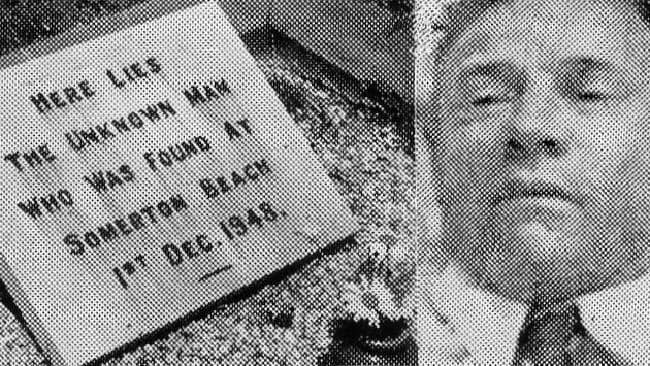 In 1948, an unidentified male body wearing a sweater and coat despite the hot day was found on Somerton Beach in Adelaide, Australia. The discovery wouldn’t be so strange if the fingerprints and dental records would have matched to any living person. 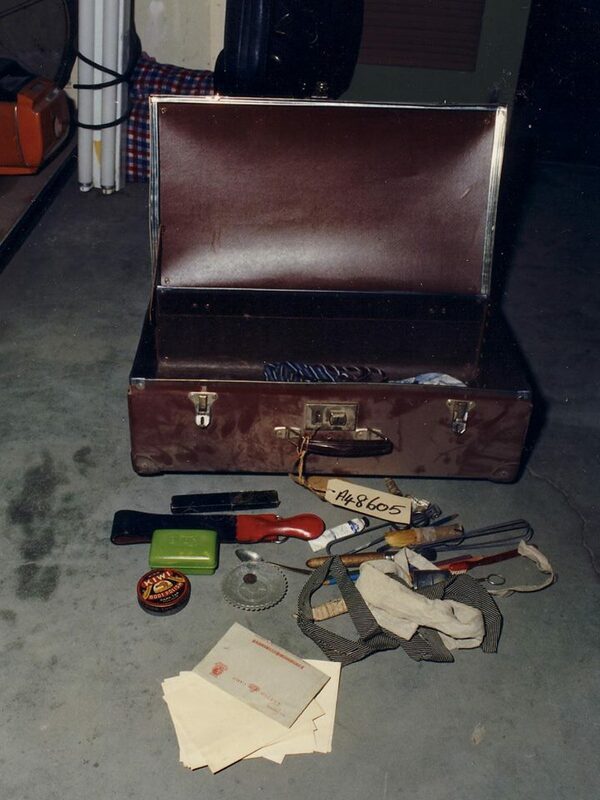 The suitcase, belonging to the mysterious Somerton Man. The piece of paper was matched to a scarce copy of Omar Khayyam’s “The Rubaiyat,” which was found in an unlocked vehicle parked in Jetty Road, Glenelg; on the back, there was scrawled five lines of capital letters, which seemed to be a cipher. To this day, the code, along with the entire case, remains one of Australia’s most mysterious unsolved ciphers. On October 25, 1984, around 11 pm, an unemployed German food engineer Gunther Stoll suddenly stood up from his chair and suddenly shouted: “Jetzt geht mir ein Licht auf!”, which means “I got it!”/”Now I understand!”. 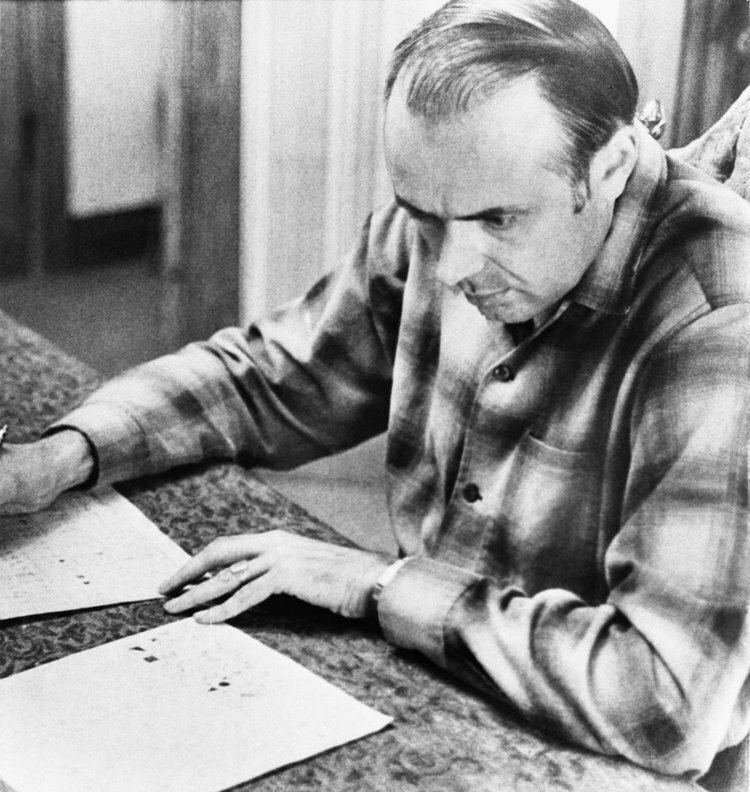 Moments later, Stoll wrote “YOG’TZE” on a piece of paper (it is not conclusive if the third letter was intended to represent a ‘6’ or a ‘G’), before instantly crossing it out and leaving his house. Shortly thereafter, Stoll went to his favorite pub in Wilnsdorf, where he ordered a beer and fell on the ground, injuring his face. Witnesses stated that he was not under the influence of alcohol and that he suddenly lost consciousness. The fact that Gunther Stoll was suffering from paranoia could explain his irrational behavior; however, at approximately 3:00 am, two truck drivers discovered Stoll’s crashed vehicle. Although Stoll was severely injured and naked, he was conscious and told the truck drivers there were four other men in his car, who “beat him loose.” Both truck drivers testified to having seen another injured person walking near the car, who was never identified. After Stoll died on his way to the hospital, the investigation revealed that he was injured before the crash and must have been hit by a car elsewhere, and subsequently positioned in the passenger’s seat of his car and driven to the location where he was discovered. It was also concluded that he was naked at the time he was run over. Two questions remain unanswered – who was the other injured person walking near the car? 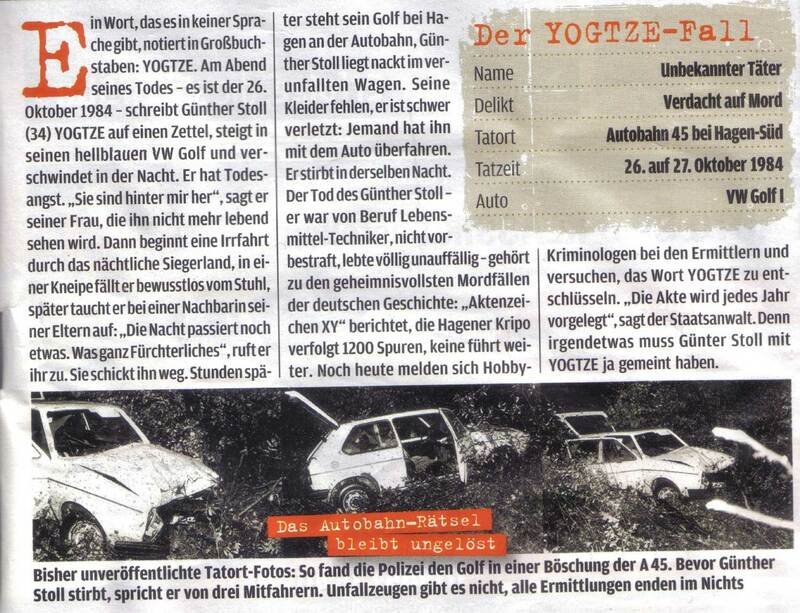 And finally, what does “YOG’TZE” mean? On June 30, 1999, officers in St. Louis discovered the body of 41-year-old Ricky McCormick, who had been murdered and dumped in a field. 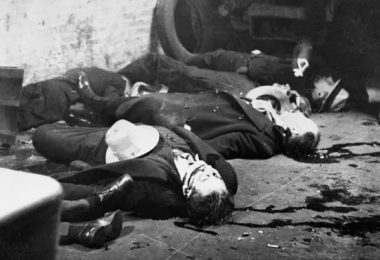 The only clues regarding the homicide were two encrypted notes found in McCormick’s pockets. 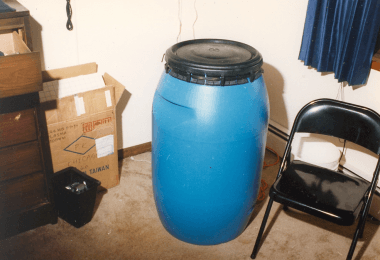 Despite extensive work by FBI’s Cryptanalysis and Racketeering Records Unit (CRRU), as well as help from the American Cryptogram Association, the meanings of those two coded notes remain a mystery, and Ricky McCormick’s murderer has yet to face justice. 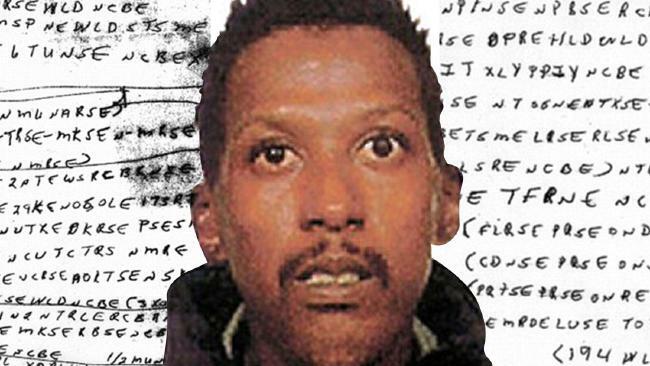 According to the FBI, Ricky McCormick’s encrypted notes are one of CRRU’s top unsolved cases. Want to help FBI break the code? Click here!